For Brayden Dennee, the only thing more surreal than seeing a sickly, battered cat in a pet store was seeing the price tag. Dennee made a pit stop at PJ Pets in a Brampton Ontario mall last weekend and stopped to look at a display of kittens for sale. The first kittens he saw seemed more bored than anything else, sitting back from the cage and eying the back door, perfectly poised to make their escape. Another display hosted three kittens. One of them was slumped in the corner, seemingly under attack from another kitten. "He wasn't fighting back," Denee told The Dodo. "He was just getting beat up by this other kitten." After a moment, Dennee got a better glimpse of the beleaguered kitten. "You could see every single bone in his body," he recalled. He immediately started snapping photos of the emaciated creature. "What made me take the pictures was seeing his body," he said. "Seeing every bone. The bones under his skin. You could see his hip bones sticking out clearly under his skin." Dennee says the tag on the exhibit read $1,299. His photos of the kitten, named Cleo, exploded on social media, circulating hundreds of times around the globe - and sparking an investigation by the Ontario Society for the Prevention of Cruelty to Animals (OSPCA). "It is an ongoing investigation," Alison Cross, a spokesperson for the organization, told The Dodo. "So I can't speak to any of the details. I can tell you that we are making sure she's getting the care she requires." But the store selling the kitten denies the kitten was for sale. Amy Young, a spokesman for the store, told The Dodo that Cleo was the victim of animal cruelty - but it wasn't at the hands of the pet store. Cleo was, in fact, rescued. She had been stolen from the store on December 20. 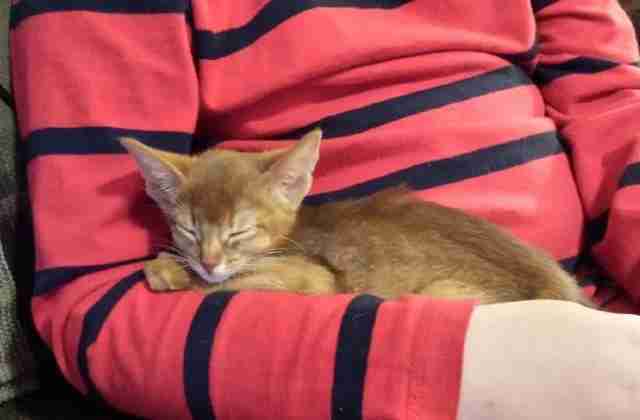 A day later, police found her in a home with 11 other cats. 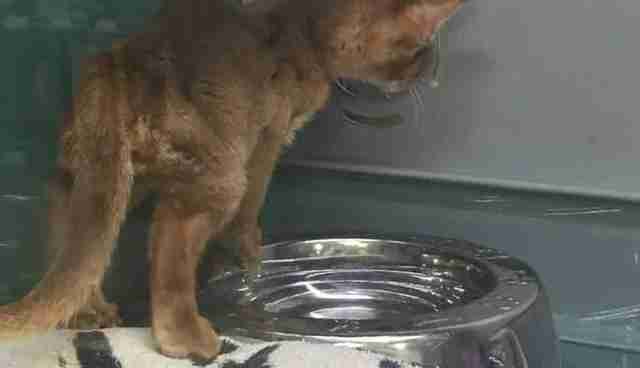 "She was then taken to the vet to see how she was recovering from this ordeal," Young said. "We needed to rule out if she has contracted any illness from the home she had been in. "The vet had given her a clean bill of health. She has lost weight, but that was due to the stress of the situation." 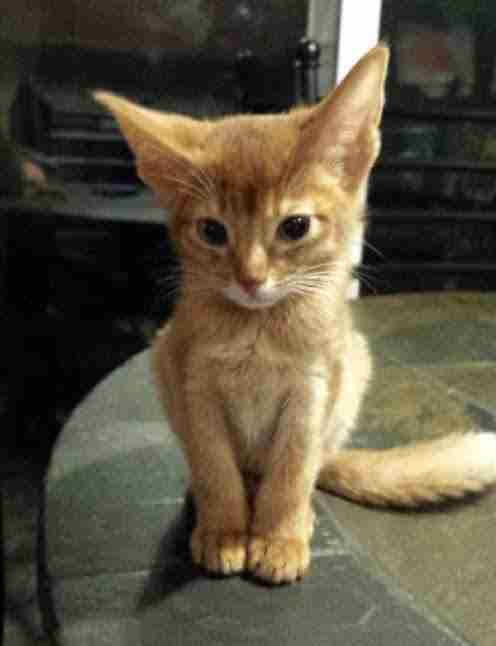 What's more, Young says, Cleo is an Abyssinian, a breed known for a slight, frequently skinny frame. 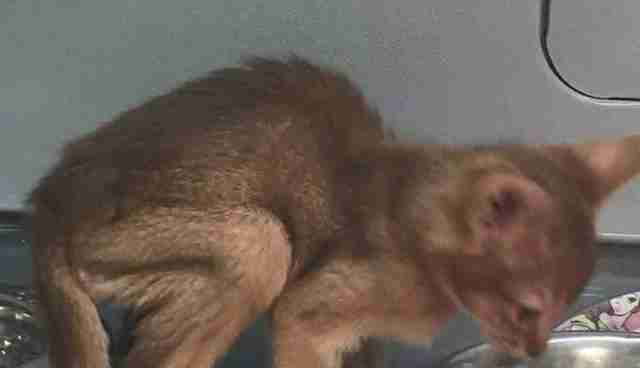 A veterinarian, Young adds, examined Cleo, finding her "small but not in poor health. She was not sick or dehydrated." PJ's Pets also sent The Dodo a recent photo of Cleo looking somewhat healthier. Nonetheless, she says, the pet store is cooperating fully with the OSPCA. And what about that sticker price? Cleo was not for sale, Young maintains. But rather, the store thought it a good idea for her to mingle with other kittens in the display. Michelle Victoria, who runs the animal welfare group All Paws Rescue, isn't convinced the pet store wasn't trying to sell Cleo. "When I saw the pictures my jaw dropped. No cat should be up for sale who looks like that," she told The Dodo. "I understand this breed of kitten is normally slender, however Cleo is beyond slender." Immediately after seeing the pictures, Victoria called PJ's Pets, only to be told by a manager that the kitten hadn't been eating because she was lonely. That's why, the manager explained, she was put in a cage with her siblings. Not satisfied with that answer, Victoria sent a volunteer to check up on Cleo. The volunteer was escorted out of the store by security. 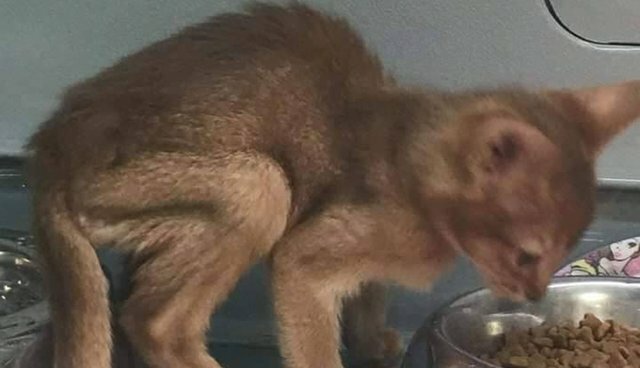 Today, the curious case of the sickly kitten in the pet display continues to be under investigation, with the Ontario SPCA promising an update in the days ahead. What is for certain, however, is that Cleo the sickly-looking kitten will likely never haunt another pet store display. "She is at home while she gains weight and will likely end up staying with the home that is looking after her now," says Young. "She is not for sale." If you're ready to adopt a waiting rescue in your area, check out Adopt-a-Pet.com.